Can a political divide be crossed? 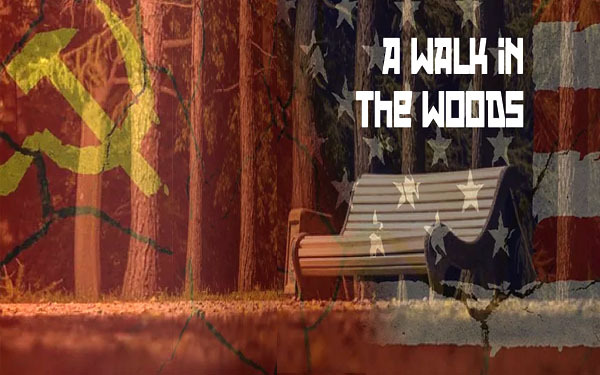 John Ellis and Joel Underwood will play two arms negotiators in inD Theatre’s production of Lee Blessing’s A Walk in the Woods. 7 pm at BIMA on Thursdays, Fridays, and Sundays, April 18 – 28. Set during the Cold War, the show examines the growing relationship of two patriots on opposing sides. This lighthearted drama tackles the question that still troubles us today: can we develop understanding despite our differing opinions? Listen here as BCB host Justin Lynn talks with John and Joel about the show’s real life inspirations, about working with director Ken Michaels, and how this 31-year-old piece still has relevance today. This show will also play at Freehold in Seattle May 2-5. To reserve your free tickets for either venue, or to learn more about this surprisingly humorous play, visit inDtheatre.org. Credits: BCB host and audio tech: Justin Lynn; audio editor and publisher Diane Walker.